Paver sealing is a valuable method for protecting the surface of the pavers from the weathering caused by UV rays. UV degradation causes many materials to break down from extended exposure to the sun. 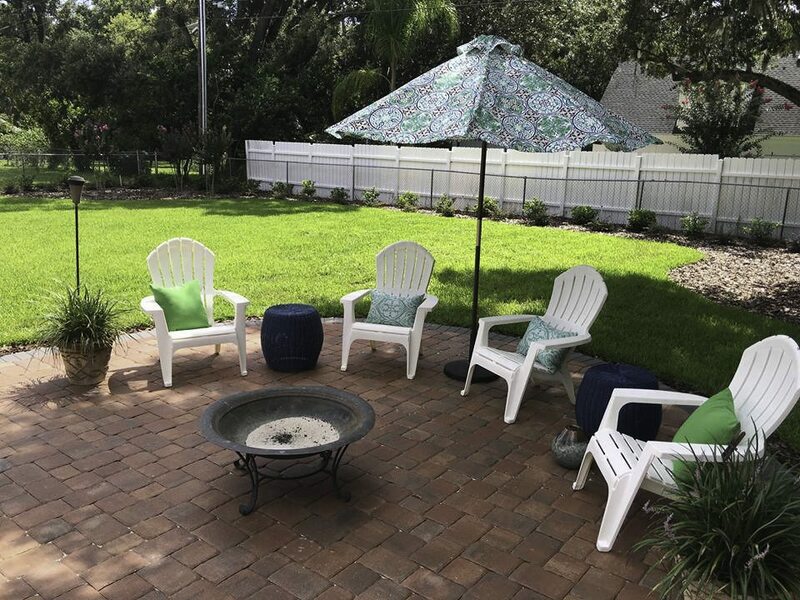 While concrete pavers themselves are highly durable, the colored pigments in the pavers can slowly fade over time, due to the UV ray exposure. (Re)Sealing the pavers helps to keep the paver’s colors vibrant even in bright sunlight. 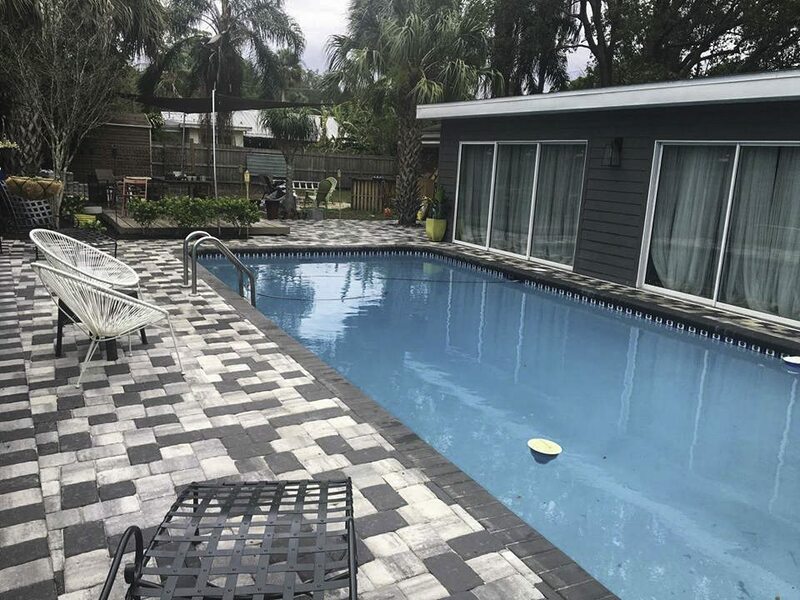 Sealing and/or restoration can draw out the colors and contrasts found in the concrete pavers and create greater visual interest. Some sealers have a “Wet Look” that produces an appealing patio surface. 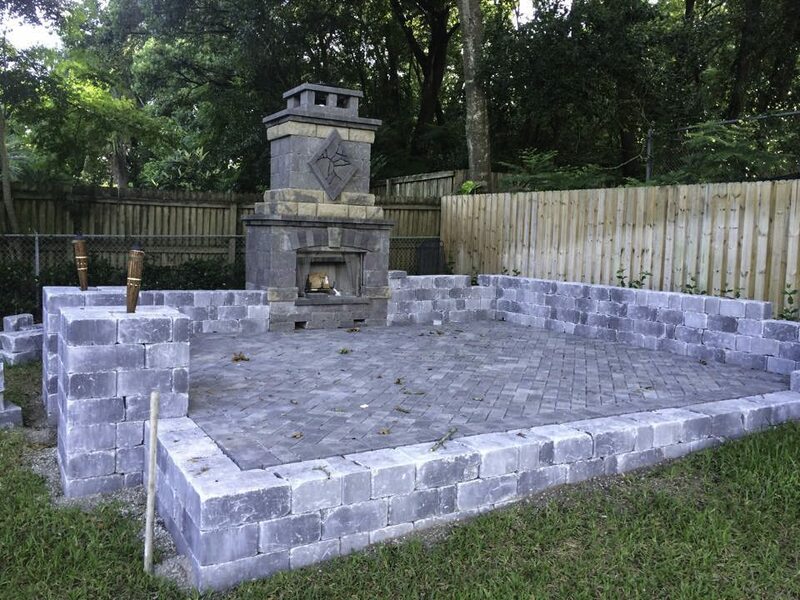 Restoring your pavers can bring you just the right look, in addition to protection to wear. 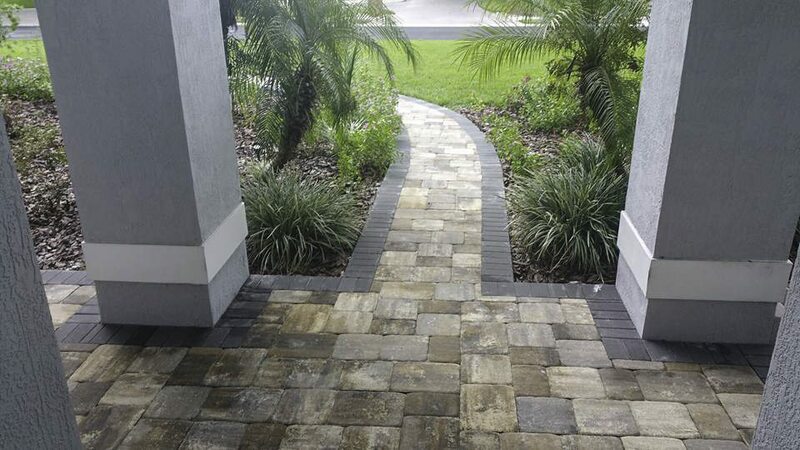 Joint stabilizing sealers have the added benefit of hardening the joint sand in between the pavers, which prevents displacement from wind, rain, and insects that can cause pavers to sink or shift. This is particularly effective for pool decks, to keep sand out of the pool. Joint stabilizing sealers also help reduce weed growth between paver joints. Perhaps the most important benefit of sealing and/or restoring your pavers is that we can help make the pavers less porous, which helps limit stains, as the pavers will be less able to soak up the oil or dirt, etc. This will make cleanup of spills easier when they do happen. Outdoor spaces often incorporate concrete paver patios, pool decks, and driveways to enhance the appeal of the property. 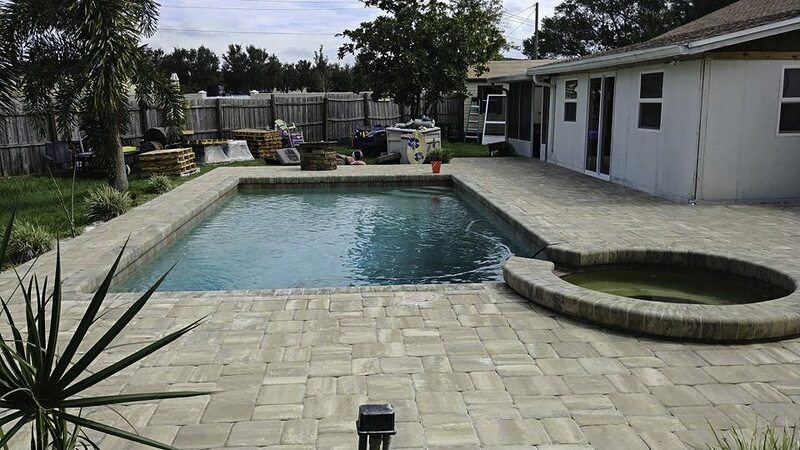 Concrete pavers are durable and low maintenance and come in a nearly unlimited variety of sizes and colors. Some manufacturers require waiting 1 year after paver installation before applying a sealer in order to allow the naturally-occurring, white, dusty-looking build up (known as efflorescence) to escape from the paving stones. However, we recommend and install Ure-Seal H2O, which is breathable and do not require a waiting period, as they let the efflorescence escape through the sealer. Environmentally friendly Ure-Seal H2O sealer is also a joint stabilizer sealer, and offers a great combination of qualities that we believe makes this brand the best sealer for concrete pavers in the industry. How Often Should Pavers Be Restored or Re-Sealed? 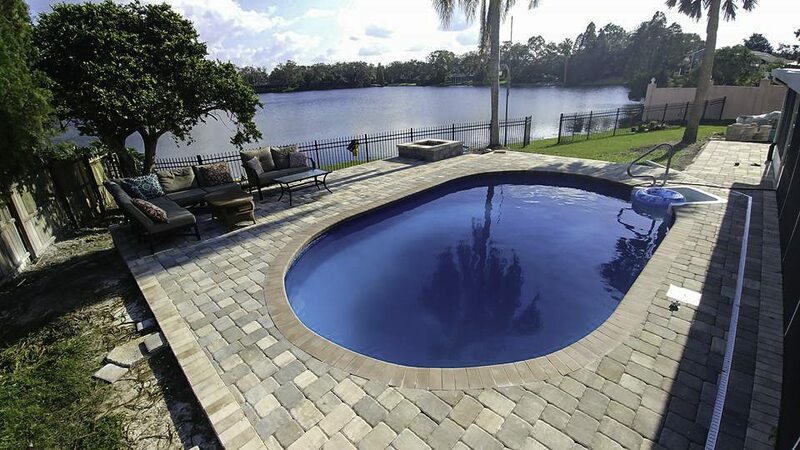 Pavers can be resealed periodically to maintain the high quality of the materials for long term. Generally, sealers should be reapplied every 3-5 years, but each case may be different. 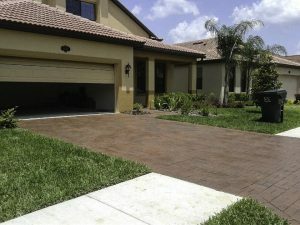 Concrete paver patios, walkways, and driveways are durable and aesthetically pleasing additions to any landscape. 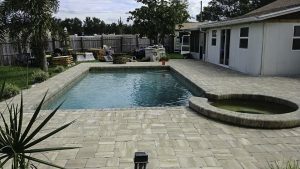 If you are dreaming about a concrete paver patio or driveway and looking for a paving contractor in Central Florida to partner with for the long haul, we’d be happy to chat about sealers and any other paver-related questions you may have. Contact us today! We are proud to say that the sealer we use is made right here in Lakeland, Florida and is the best we have ever come across.